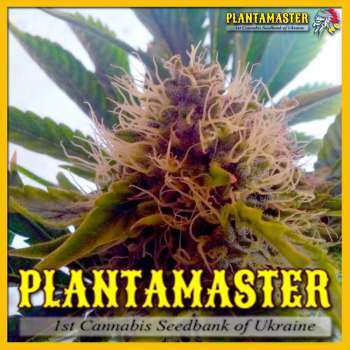 Here you can find a strain description about Supernova and also some user-based reviews and infos directly from the SeedFinder (if available). You can also find the offers and auctions here if Supernova cannabis seeds are on stock at MyCannapot right now. At the end of 2005 in boxing it has been cultivated hybrid resulting from a natural pollination (if you grow then you probably know how it is) of pure varieties Afghan Mazar-i-Sharif male plants Blueberry. The result of this crossing was very impressive but unfortunately unstable. After 4 unsuccessful attempts to stabilize the genetics of this variety has become so dear to us that the decision was made to stabilize the hybrid, come what may. This results in a variety that will please the most discriminating lover of marijuana. THC content in the control samples never dropped below 18%, while in 6 cases out of 10 came to an impressive 24%. If you wish, you will receive excellent hash by extraction with cold water. Indoors SUPERNOVA gives an impressive number of lateral shoots and wonderful branches. Pre cultivation INDOOR we recommend using Bag-Pot at least 10 liters, otherwise the plant will not be able to reach their full potential. At SUPERNOVA big and thick central cola, consisting of a set of inflorescences, which form dense, closely located one above the other clusters. From the first days of flowering the plant will produce crystals that cover it with a layer of dense fragrant resin, similar to caramel drops. Shoots well suited for cloning. Flowering indoors and outdoors only lasts 56-63 days, and in end of September within 48 latitude you collect the harvest, which is an important advantage for those who come early in the cold. If 2-3 days before harvesting to expose the plant to a temperature of +3 +5 degrees during the night, will prove a genetic line of Blueberry and bumps acquire a blue-violet color. Buy Supernova now at MyCannapot!